Click "Save" and your Project will automatically update to reflect your changes. Need to make a lot of changes? You can also easily batch edit your Project data by updating the CSV. 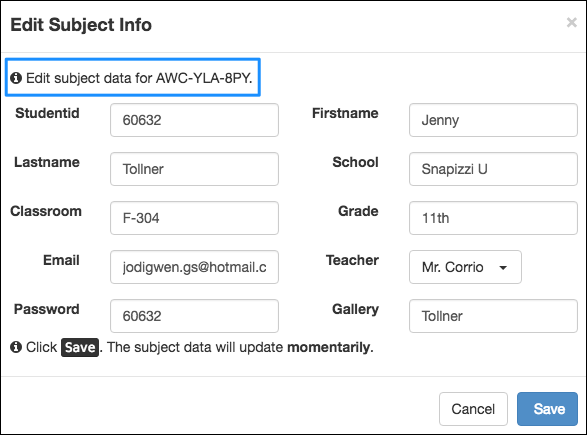 You can also add/edit Subject data when using Snapizzi Paperless.